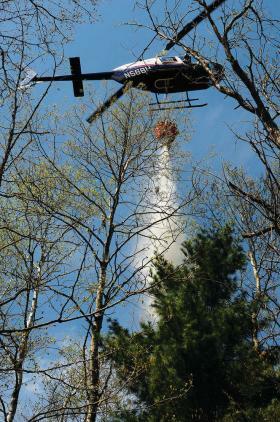 Chemair Helicopters Inc. provides a variety of aerial firefighting services. We are USFS carded approved for fire fighting, long line vertical reference and aerial ignition (both premo and heli-torch). We continue to work with the USDA Forest Service and other State fire fighting agencies. Our work includes personnel transport, infrared detection, fire suppression, and prescribed fire. Please contact us for more details on how we may assist your organization. Contact us about personnel transport, infrared detection, fire suppression, and prescribed fire.